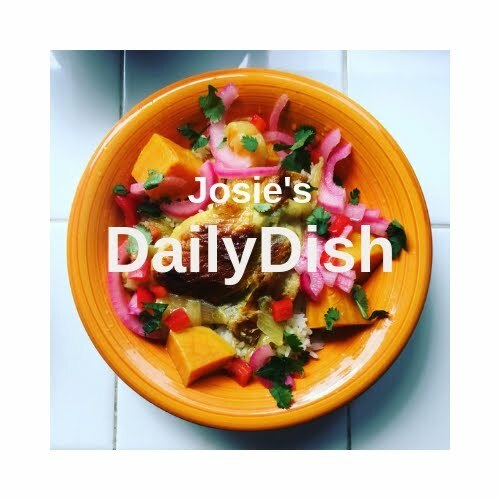 Sunday dinner. 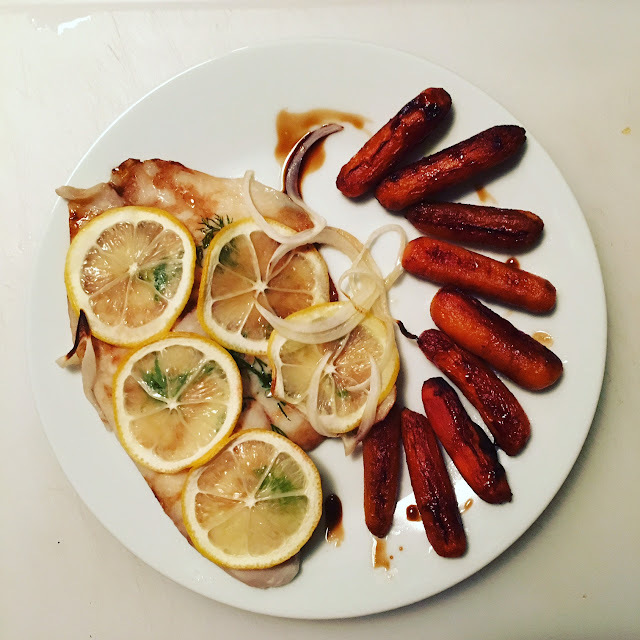 Baked tilapia with lemon, onions and dill with balsamic glazed roasted carrots. 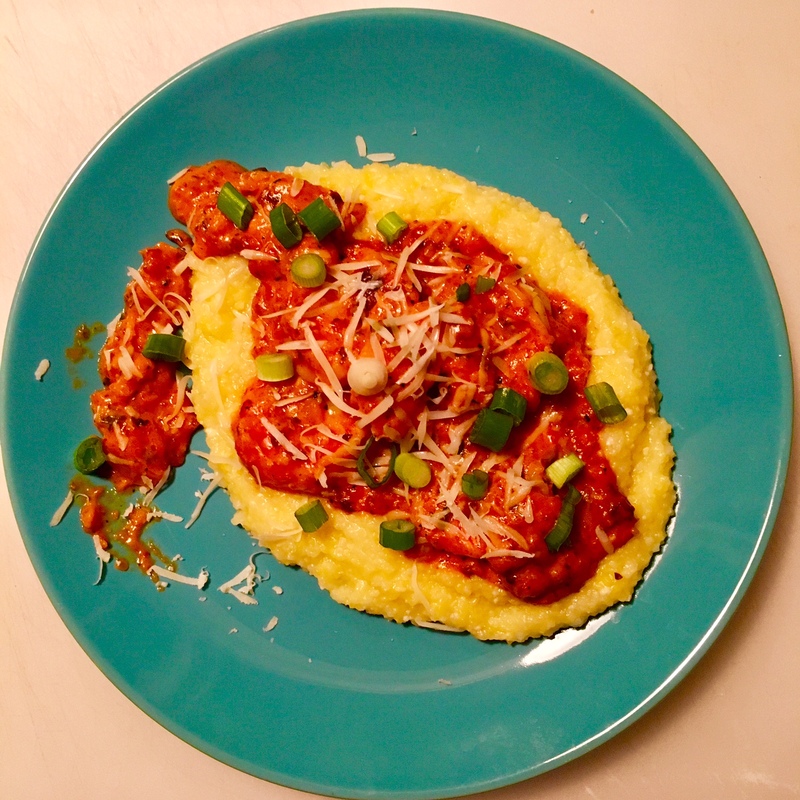 Shrimp in creamy tomato sauce over cheesy polenta. 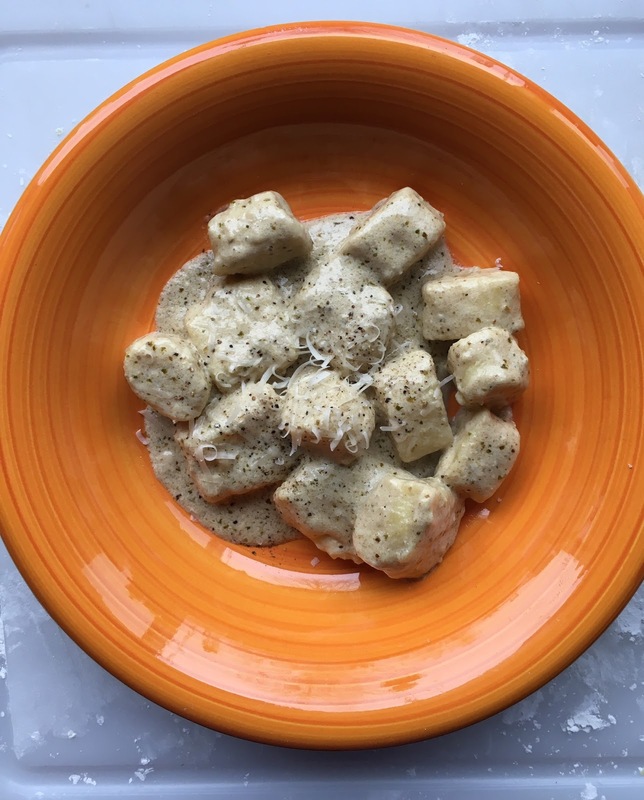 Gnocchi with pesto cream sauce. First go for both. A little clumsy. Needs fresh herbs to top. Breakfast. 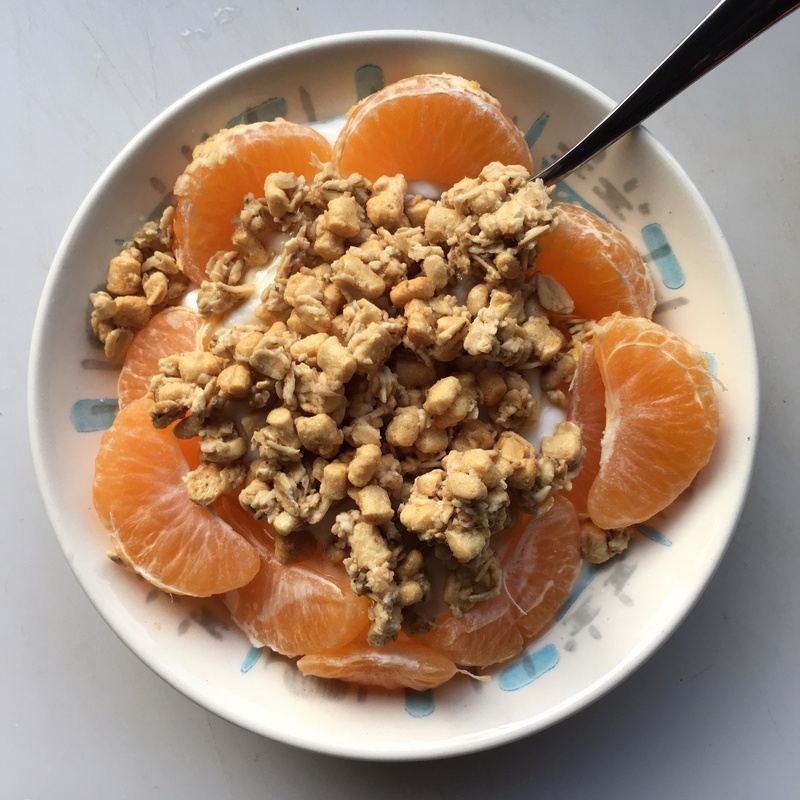 Greek yogurt with honey, granola and clementines.